This exceptional 8,200 SF waterfront home on 26 private acres offers tremendous potential for converting to a B&B or country Inn. Large communal spaces featuring five fireplaces, beautiful views of Brookings Bay. Two private guest baths could easily be added. Must see! Stunning 5 guest room home built in 1913 in pristine condition. Located in Historic Fulton, MO at the end of Court ST (Historic downtown) and walking distance to 2 colleges complete with a gourmet kitchen, pool & cabana. Could be a event venue. E: ashley@embarkmo.com for more photos & upgrade list. Unique 16 unit cabin themed property with a mixture of Jacuzzi, Double Queen, and King Rooms. Wooded views located in popular tourist destination in Ozarks. Former Assisted living being converted to B&B. Victorian home turned into a thriving Bed and Breakfast located in historic Mineola, Texas. Own this updated classic Inn with every modern amenity. 8 inviting guest rooms have spa like baths, king and queen beds with luxury linens and comfy, well appointed sitting areas. The pool is surrounded by lawns and gardens with a fire pit and plenty of room for guests to relax and enjoy. 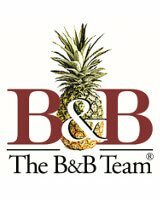 Well-established award winning B&B located in the heart of Rehoboth Beach, Delaware has years of successful operation and tons of repeat customers and is already booked into the 2019 summer! The B&B includes 2 downtown separate yet conjoined properties located just 2 blocks from the beach. Stunning Victorian dream in East Texas on 1.074 acres. 7 Room Bed & Breakfast with Restaurant in the heart of the Black Hills of South Dakota. Stunning B&B boasts 3 Suites. Carriage House provides 2 suites, Rec Room containing Endless Lap Pool, Hot Tub and Sauna. Main House offers Owner's Living Quarters. Beautiful wood throughout. Garden Room walks onto Large Lovely Patio. Priced completely furnished! Historic colonial in the heart of Brunswick, MO that has been lovingly cared for and expanded over the 23 years that these owners have owned. Circa 1845, Blackberry Ridge Inn is a historic bed & breakfast in the charming community of Graafschap in Holland, Michigan.